The administration of San Juan, Puerto Rico, Mayor Carmen Yulin Cruz—who rose to fame because she trashed President Trump for not helping the victims of Hurricane Maria—is reportedly under FBI investigation for corruption. Cruz and other members of her administration are under investigation for allegedly keeping supplies from reaching the victims of the hurricane that damaged much of the island almost nine months ago. The FBI reportedly began their investigation into Cruz after Yadra Molina, a former member of Cruz’s administration in charge of procurement, claimed in a February lawsuit that Cruz’s administration retaliated against her for reporting alleged acts of fraud within the administration. 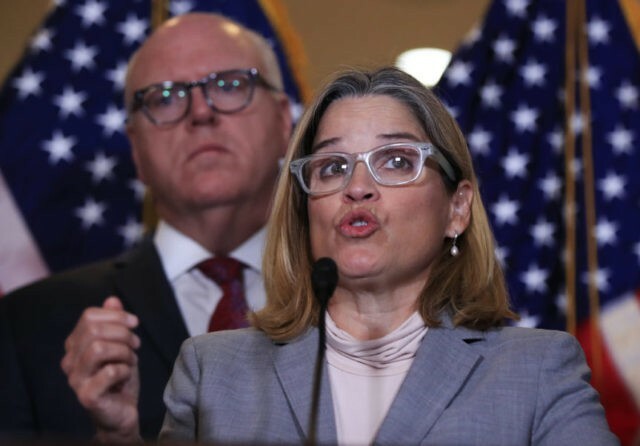 “On February 21, Molina sued the city council after reporting alleged acts of corruption in the shopping division in the town hall under the administration of Mayor Carmen Yulin Cruz Soto,” the local paper El Vocero de Puerto Rico reported. Molina claimed she was punished for “report[ing] wrongdoing in her capacity as a private citizen, not as a public employee.” She said other city officials allegedly took part in a scheme that would bring business toward a supply company which paid the administration more than three times than what other suppliers normally charged. Cruz has also been criticized for making the relief efforts more about a public relations effort to boost her image than about helping city residents obtain necessary supplies such as food and water. Fox News reported that the San Juan mayor hired photographers to trail her as she traveled around the island after the storm. In her efforts to further boost her image, Cruz appeared on television outlets such as CNN and MSNBC to accuse the Trump administration of violating the human rights of Puerto Ricans for not providing relief supplies to the island in the months after Hurricane Maria.